Conveniently located just off the A7 in Estepona, the Escuela de Arte Ecuestre Costa del Sol is the most impressive equestriancentre in Spain. Surrounded by well maintained gardens, the gigantic installation comprises a 7000m2 competition arena, an indoor arena seating1235 people, a bar/restaurant, a pony club,a gigantic marquis for celebrations andstables to accommodate 148 horses. That is not to mention the car park large enough to accommodate more cars than a footballevent. Of course it is a riding school providinglessons for students of all ages ranging frombeginners as young as three to professional adults that may wish to improve their style,be it dressage, jumping or just riding. ThePony Club, with its own stables and arena, is one of the best reputed in the country,possibly worldwide. “a la carte”. It is ideal for children partiesand other events which, if involving a largenumber of people, can be accommodatedin the permanent marquis, that makes it the ideal location for large company events, weddings, private functions. To see is to believe, and a visit to see it all should prove a rewarding experience, especially if you can coincide it with a “Dancing Horses”show or a students’ demonstration or indeed even a social or competition event. You do not need to be a professional to enjoy golf. 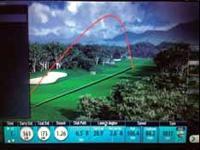 See immediate results from 1st golf session!